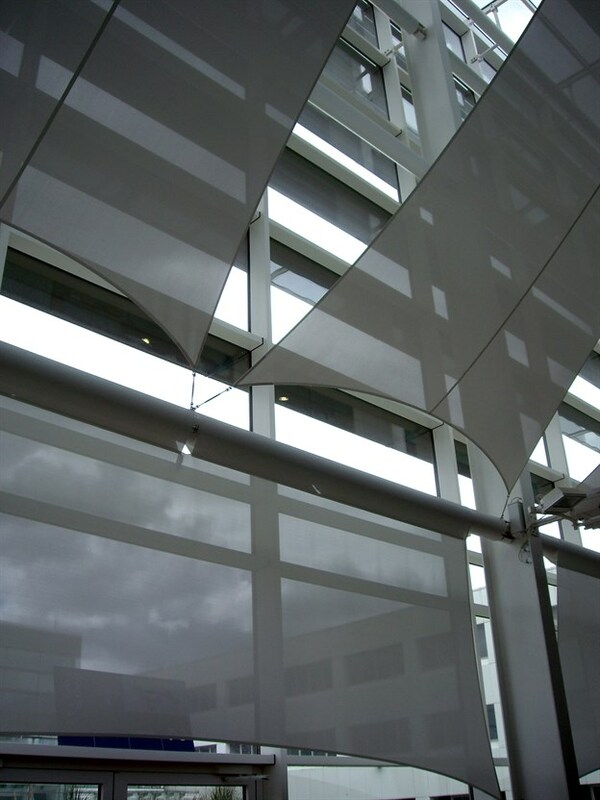 This installation was carried out as part of refurbishment works for a new library space at Barnet College with the aim of preventing and reducing direct sunlight. 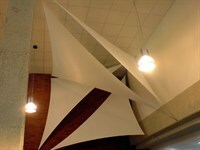 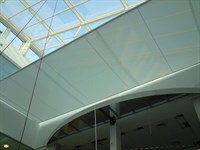 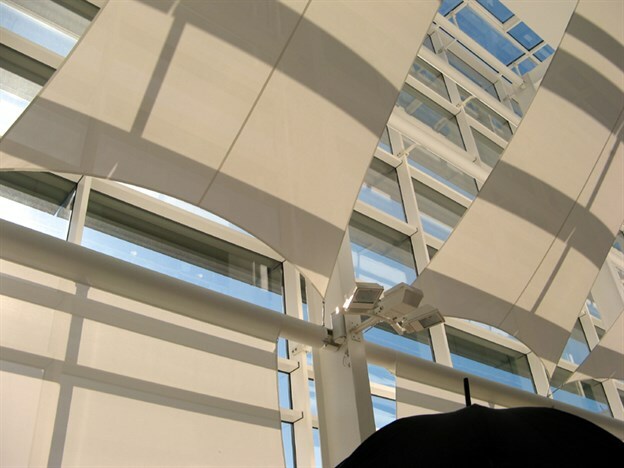 The specific blind fabric by Mermet was used to reduce glare and help to improve working conditions within the space. 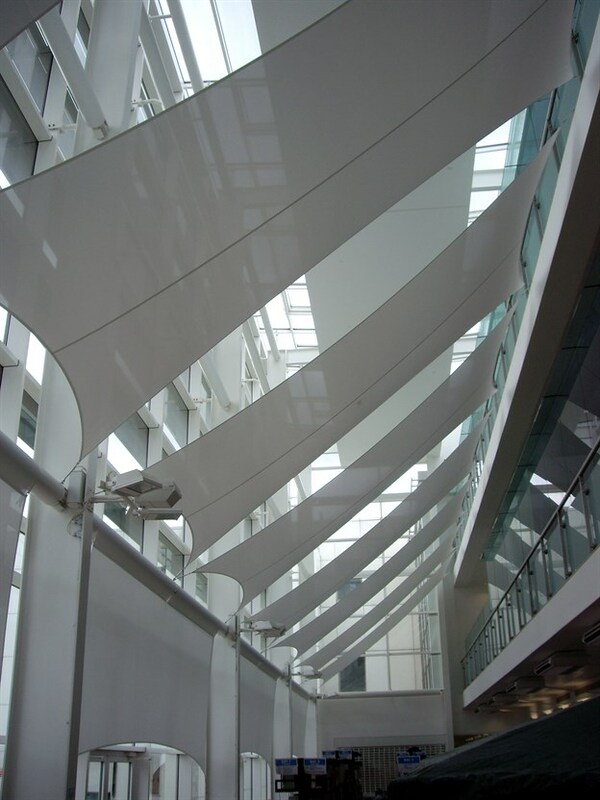 The eight diagonally positioned and four vertically positioned sails covered most of the window space, whilst the traditional TensileFabric form of the sails added a softer quality to the very hard space.